In this competitive age of business, all organizations are facing new challenges regarding increments in their productivity and creating a dedicated workforce for their organization. To keep the business healthy in the turbulent contemporary corporate environment, Each employee of the organization must be committed to their work and help in boosting productivity level of the organization. A necessary source of an organization is its employees. So there performance will automatically increase the growth rate of the organization. But Some business owners fail to monitor their employee’s activity during the productive hours. As a result, growth graph of an organization starts falling downwards. Which ruins the objectives of achieving the ultimate goal of an organization. But thanks to technology, now the organizations don’t have to wait for a longer duration of time to judge their employees based on their performance. The Popularity of Employee Monitoring Software increases day by day. This software is used by a number of companies around the world. Not only MNCs but also used by Small Scale companies and the small team too. Employee monitoring software benefits owners of the organizations to keep an eagle eye on their team and distribute work according to employee performance and potential. Employee Monitoring Software getting high reputation in the market nowadays. However, there are so many different versions of employee monitoring software present that it becomes a confusing process for buyers to choose the right software for their businesses. Not to worry I am here to help you to choose the best tool to monitor your employee’s activity. But before that first, you have to understand what is employee monitoring software? Employee Monitoring software helps you to track all the activities of your employees related to the task assigned to him/her. The software helps you to monitor productivity, provide security, and collect all proofs of works performed by each employee of your organization. But evolution in Employee monitoring software makes it more advance. Now you can track not just how many hours employees spends at work but also monitor internet usage, Applications usage, Employee’s performance records and much more. 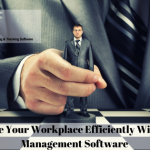 Which software do you need to choose to monitor your employees and why? Is this question still penetrating your head? Of course yes. Here is the solution. “EmpMonitor– Employee Monitoring Software”. Why do You need to Choose EmpMonitor as Your Employee Monitoring Software? 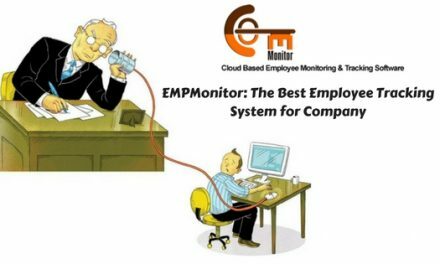 EmpMonitor is one of the best cloud-based Employee Monitoring Software for real-time tracking and protects your employees from wasting productivity hours. This cloud-based software tracks your employee’s each and every activity and stores all data directly back to your account. The software allows management to keep eagle eyes on their Employees works during productive hours. The dashboard of this software provides a clear vision about each employee’s activity during work hours and makes a record of every employee’s work performance, tools they have used, conversions they made, Email they received or send, internet data they used and much more. Here the benefits of real-time management dashboard of EmpMonitor. How EmpMonitor Raise Your Business? The data you received from EmpMonitor will help you in a time of crucial decision making for your organization. It helps you to make an appropriate decision related to salary, product price, rates, toolkit, Team size and plans for lifting work process. You want to know anything specific about your employees ( Eg- John’s focus towards work is less efficient in the past month or whether Harry has really accelerated his work pace) You can identify it objectively. EmpMonitor being a cloud-based software gives you the privilege of operating it from any corner of this world. Even you are outside of the country, You can easily monitor your employee’s activity. This feature of EmpMontor helps you to track typed keystrokes in real time. On EmpMonitor dashboard you can view any user’s keystrokes in real time including hidden characters. Enabling Keystrokes features to give you privileged to keep eyes on the action taken by the users through the keyboard. Who’s logging through your organization system. Keystrokes technology monitor all international character includes English, Japanese, Chinese and much more. This feature helps you to know when and what your employees are working on. EmpMonitor screen capture records everything from your user’s computer’s screen. For capturing screenshots of users you can fix time according to your wish from default 30 seconds to as often as every second. All the screenshots will be transferred as JPEG graphic file. And multiple screen shot can be exported in the form of AVI video file. Research and discover the records collected by computer screen shots features. That record will help you to identify sites which are not related to your employees work but it is still surf and flush productivity hour. Firewall management module of EmpMonitor introduces Website Blocking Feature. Using this feature you can block such sites which harm organization productivity hours. Like Social media sites, sites with high bandwidth frequency to save costs and popular job searching websites. You can easily monitor active/focus and total time spent by each user on particular websites. This feature will provide you all browsers history, URL enter for a particular browser, Browser used in Incognito/ InPrivate mode and records of all activity performed by particular users on the website. If you minimize any website in morning and left it minimized all day the data will refresh according to the user maximize the website. This will help you to collect accurate data about using any particular website by users. All data will be collected in real time and store in your database. EmpMonitor watches all chat and messages send in every chat room or messaging client. This features will help you to capture everything said by each person joining the conversation. Using this features you can also capture conversion done through Email. It helps you to keep records of all conversions done between your employees and clients. How your employees represent your organization to an outsider. Protect your confidential information from being leaked. Keep the proof of compliance with the regulation. Help you to identify employees who spend more time in personal chats. Some time Employees plugin external device like Pendrive or External Hard Disk to take data from Organisation computers or to install some particular software. Which is difficult to identify is that work is related to their work or not. So using Monitoring External Device features will help you to identify what type of data is taken or uploaded in the system. This feature protects your organization data from outsourcing. EmpMonitor alerts you about potential security and policy violations done by any users in your organization. Whenever any user will try to do it you will receive an email about such particular user’s activity. You can activate alerts for all the mention above features. So that if someone’s behavior change you can easily pick that particular person before any damage to your organization. You can Login to your account from any web-enabled devices and change your setting and get reports. You can easily manage a number of computers and users from one admin account. All activity logs include complete details about each user and can easily search through sorting. The dashboard of EmpMonitor is easy to use. The dashboard is plugin with extensive features and options. EmpMoniotr provides you free update for a lifetime subscription and can easily be downloaded at any time you wish. EmpMonitor is one of the best employee monitoring software out there. Don’t waste your time in thinking for the solution. EmpMonitor comes in a different version, Starter, Lite, Professionals, and Enterprise. You can choose according to your purpose. And the most important thing you can change plans and cancel the order any time. PreviousHow Staff Management Software Can Help You Efficiently Manage Your Workplace?